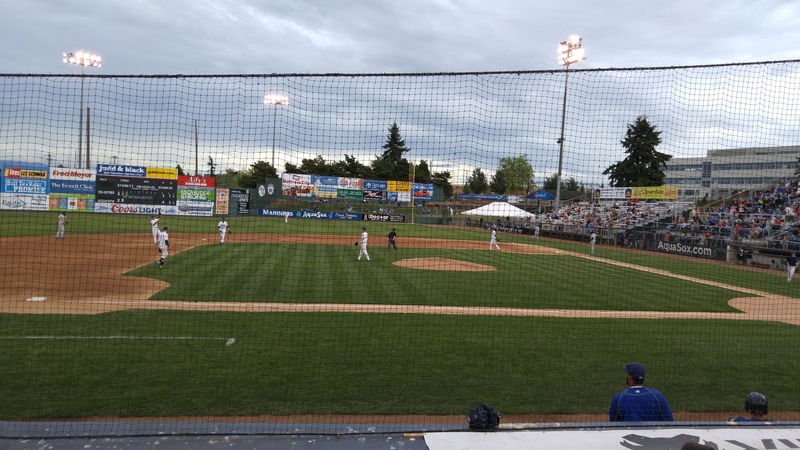 I had a fun baseball-filled weekend watching the Everett Aquasox, a minor league team, play on both Friday and Saturday nights. Friday’s game was not very eventful, until the bottom of the 10th when they won 3-2, but Saturday’s game was full of fun, including my little niece catching a foul ball! 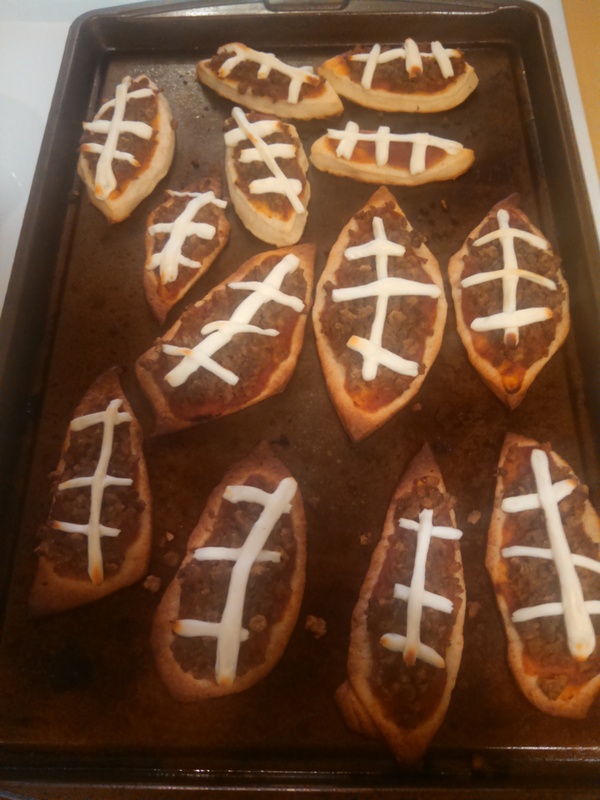 However, football is upon us, so it is time for some football-themed snacks, like these yummy mini football pizzas from The Daring Gourmet that I made last year during football season. They are a fun snack for any football party. 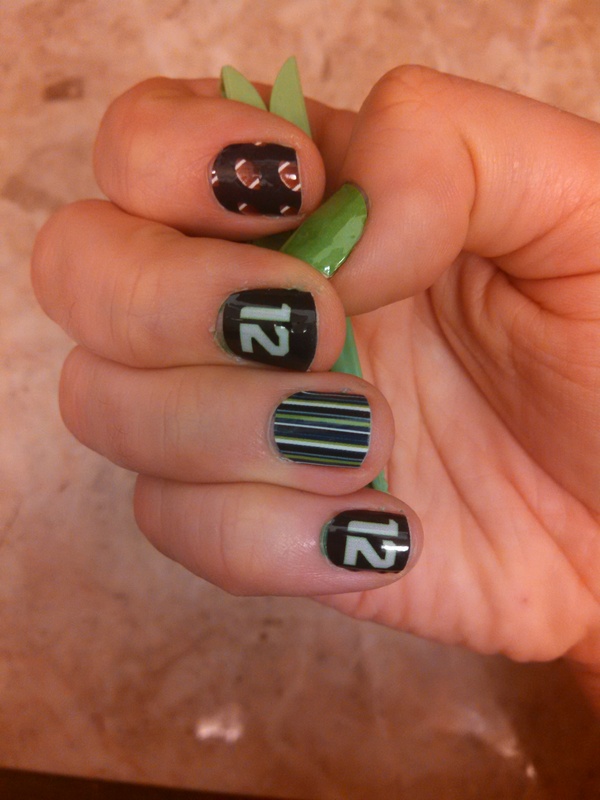 I also had Seattle Seahawk themed Jamberry nail wraps for the occasion! 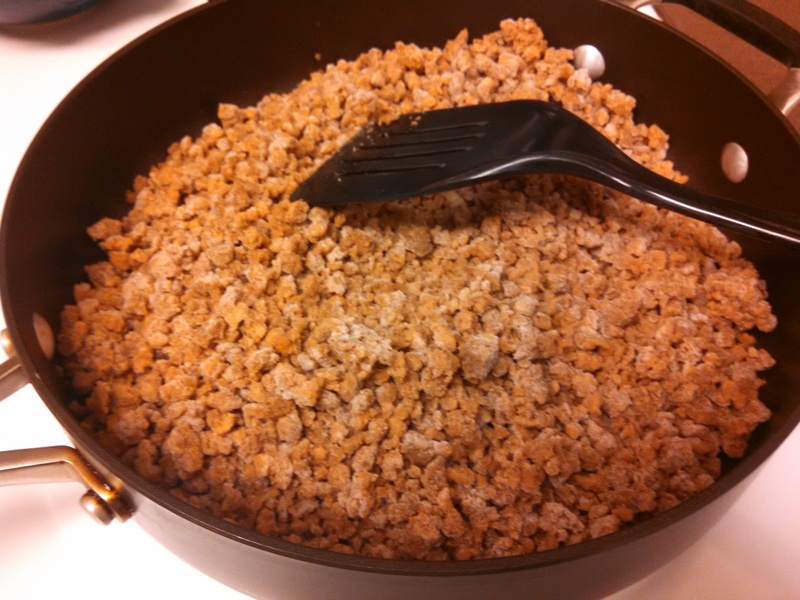 Since there were some vegetarians in the crowd, I used meatball crumbles, which were actually pretty good. 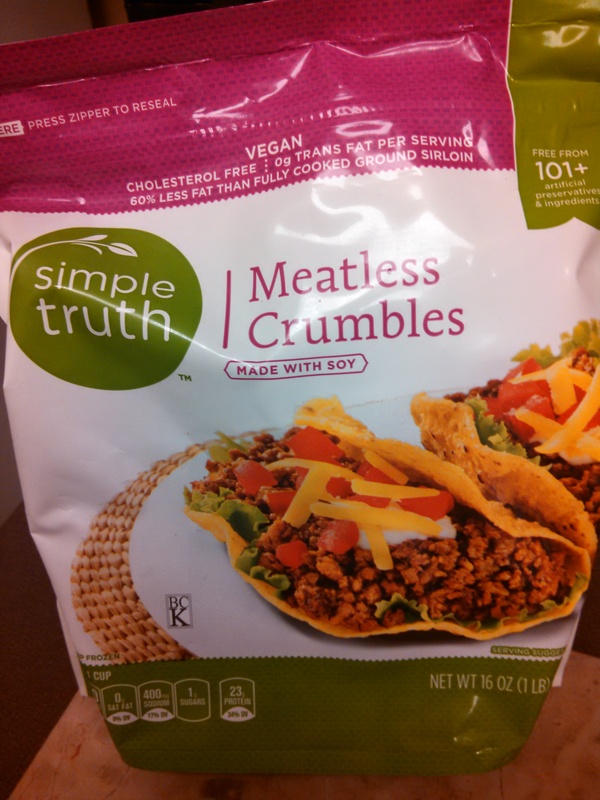 Feel free to use whatever meat you’d like. -Lightly flour a surface and unroll the pizza dough. Use a football-shaped cookie cutter, or cut the dough into football shapes by hand, according to your desired size. -Cook the sausage and peppers on medium in a skillet until cooked through, and set aside. -Spoon pizza sauce onto each pizza crust and top with the sausage and pepper mixture, then bake for about 4 minutes. -Cut out the mozzarella cheese sticks into long and short strands and lay them on top of the pizzas (check out the pictures). Bake for a few more minutes until the cheese is melted and everything is cooked through.